Today's post is the second of a series of two containing some of my favorite recent quotes that center around themes discussed in this blog. As mentioned, I have been collecting the quotes and putting them on my Facebook fan page at http://www.facebook.com/pages/David-M-Allen-MD/80658565761?fref=ts. The ones posted here started in January of 2014, and are loosely organized by topic. On trying to find the cause of schizophrenia: "30 wasted years of looking for bad mothers followed by 30 wasted years looking for bad genes." ~ E. Fuller Torrey, M.D. "The shift from benzodiazepines [for anxiety disorders] to antidepressants is one of the most spectacular achievements of propaganda in psychiatry." ~ Giovanni Fava, M.D., clinical professor of psychiatry at SUNY in Buffalo. "Why would anyone want to teach me to tolerate my pain? My only interest is in removing it!” ~ Cynthia Mueller, a blog reader, when first exposed to the DBT treatment model for borderline personality disorder. "Methadone and Buprenorphine [suboxone] should be our first line opiates for use in the treatment of severe acute pain. 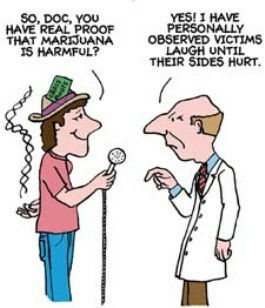 That way, if patients become addicted to them, they would already be taking the appropriate treatment for their addiction!" ~ Steven A. King, M.D. "The current EHR has destroyed the narrative, especially in psychiatry, and converted the basis of care to a checklist." ~ George Dawson, M.D. "It's not just about doing the right thing for your patients, it's about proving to someone else that you've done the right thing, and sometimes "I can't quite remember if I'm an underpaid physician or an overpaid data entry clerk!" ~ Dr. J.D., Family physician. "The proving [that I did right by a patient] takes longer than the doing." Chrisitine Sinsky, M.D. "You don't need any research to show that if you are cycling people with serious mental illnesses in and out of short stay psychiatric units in 3 - 5 days and basing their stay there on whether or not they are "dangerous" and using treatments that take weeks to work that by definition you are appearing to treat many more patients but providing adequate treatment to very few. You don't need any research to show that when you shift mental health care from psychiatric units run by psychiatrists to county jails that the outcomes will be worse. You don't need any research to show that when people do not get research-based psychotherapies in the manner that they were designed and instead get a few crisis oriented sessions that do not address their basic problems that outcomes cannot hope to be better. When your attitude is that all mental health treatment can proceed by treating common problems with definite social etiologies with medications as fast as possible and not having an intelligent conversation or working alliance with the person affected - it is logical that treatment outcomes will not improve. Treatment outcomes do not improve if you do not provide effective treatment and that is the mental health landscape at this time." ~ George Dawson, M.D. "Health care systems that allow patients to rate their doctors on satisfaction ratings without considering that patients might be dissatisfied with reality should be held to task." ~ George Dawson, M.D. "You want a tale of two cities...look how the financial services industry has captured regulation to their advantage vs. how doctors have been battered by regulation. But it's based on the mind-set of Goldman Sachs vs. the mindset of the family practitioner...who politically shows up for a gunfight with a butter knife." ~ James O'Brien, M.D. "Managed care has done an expert job of cost shifting by developing business friendly treatment criteria, abandoning the social and community mission of treating difficult problems associated with mental illness and addiction, and removing the element of humanism from psychiatric treatment. When I first started to practice, discharging people from a hospital when a psychiatrist had serious concerns about whether or not they could make it or whether they would be safe was very uncommon. Today those discharges are the rule rather than the exception largely due to the imaginary dangerousness criteria. "~ George Dawson, M.D. "Then there’s the matter of testing a child to determine if he has ADHD. The plain fact is that none of the published diagnostic criteria depend upon test results. They refer to behavior, period." ~ John Rosemond, Ph.D.
"A [mental] disorder does not operate with [social environmental] discrimination. If something was “wrong” with [your child], she would be obnoxious in front of friends, their parents, teachers, and the people in white coats who came to take her away (tra la, for those who appreciate the reference)." A reader writes that her friends 'recently spent around $300 on their daughter’s birthday party—her first. They bought lots of stuff to entertain their young guests and extended family. The child, a baby, obviously had no clue what was going on. I should mention that the parents are struggling to make ends meet.' As my readers know or should know, I am a psychologist. That qualifies me to determine and assign psychological diagnoses. As such, it seems obvious to me that these parents suffer from a now-commonplace parenting malady known as just plain nuts." ~ John Rosemond, Ph.D.
"One symptom does not make a diagnosis " ~ John Rosemond, Ph.D.
"Test anxiety is frequently not an aberrant psychological response - it is instead the normal anxiety anyone would feel in facing a situation for which they were inadequately prepared." ~ Barbara Oakley, Ph.D.
"Under the influence of intense affects, EVERYBODY becomes an idiot. "~ Otto Kernberg, M.D. "An often trivialized cause of irritability, difficulty concentrating, reduced vigilance, distractibility, decreased motivation, lack of energy,and disturbed mood: insufficient sleep syndrome. People with this syndrome, common in our 24 hour society, intentionally curtail sleep for work, social, family, or other reasons. According to the International Classification of Sleep Disorders, a practical and effective remedy does exist: more sleep." ~ Psychiatric News. "It’s truly surprising how many parents have been told that if their child did not have ADHD the child would not respond to stimulant drugs. In the blitzkrieg of World War II, German bomber pilots took a stimulant drug with a chemical structure similar to that of Adderall. When the American military discovered how much the stimulants helped German pilots, they put stimulants in the kit of every American and British bomber pilot to improve their concentration and alertness on long-haul missions. Surely not all these pilots had ADHD." ~ Marilyn Wedge, Ph.D.
"...after taking the [drug company-designed screening] ADHD quiz, I've realized that both I and my cat have the dreaded disease. I'm off to get us both the treatment we need." ~ Anonymous comment on one of my blog posts. "Selfishness beats altruism within groups. Altruistic groups beat selfish groups. All else is commentary." ~ David Sloan Wilson, Ph.D.
"We mammals are curiously preoccupied with social hierarchy. You may say you don’t care about status, but if you filled a room with people who said that, they’d soon form a hierarchy based on how anti-status each person claims to be." ~ Loretta Breuning, Ph.D.